For information about contacting any of the women in our expert directory, or to be added to the list, please see our Contacts page. Located in Albany. Follow her on LinkedIn. Pooky Amsterdam is the CEO of PookyMedia, a real-time animation studio and virtual world entertainment company. The company is a recognized leader in using machinima to create highly cost-effective and targeted branding, sponsorship and advertising opportunities through its video services. Located in Boston. Follow her on LinkedIn. 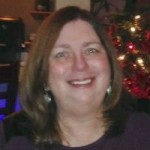 Joyce Bettencourt is the cofounder and president of the board of AvaCon Inc., a 501c3 metaverse users focused nonprofit and organizers of the Second Life Community Convention 2010, 2011 and OpenSImulator Community Conference 2013, 2014. She is also the community manager of TechSoup’s NonProfit Commons in Second Life, and the cofounder of The Vesuvius Group LLC, a development studio creating virtual immersive learning environments since 2006. She is a former Immersive designer and virtual events and community Organizer for educational nonprofit Global Kids, Inc. and a 2012 alumni of Singularity University’s Futurist Graduate Studies Program. Located in Chicago. Follow her on LinkedIn. Pam Broviak manages GovGrid and the Public Works Group, and is a former city engineer and public works director. She is also a blogger, a past senior editor for Public Works magazine, a public speaker, and a civil engineer. Located in Colorado Springs, Colorado. Follow her on LinkedIn. 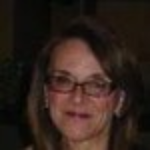 Cynthia Calongne is an adjunct professor at Colorado Technical University and a researcher and speaker with Lyr Lobo Research. She has hosted over 123 presentations and keynote addresses on virtual worlds, simulation and modeling, education, futuring and innovation, game design and research. She was also the grand prize winner in 2010 with Air University for the Federal Virtual World Challenge at Defense GameTech 2010. She is currently conducting research on the Military Open Simulator Enterprise Strategy project, sponsored by the US Army Simulation and Training Technology Center. Located in Cincinnati. Follow her on LinkedIn. Chris M. Collins is an IT Analyst at the University of Cincinnati. Her research focuses on the use of simulations, virtual worlds, social media, and augmented reality in higher education and for remote workforce collaboration. 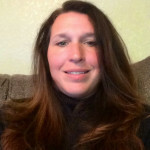 She founded and currently manages the Center for Simulations & Virtual Environments Research in the UC Office for Information Technology (UCIT), Research & Development department. In her free time, she serves on the board of AvaCon, Inc., a non-profit organization dedicated to promoting the growth, enhancement, and development of the metaverse, virtual worlds, augmented reality, and 3D immersive and virtual spaces. AvaCon’s primary goal is to connect and support the diverse communities and practitioners involved in co-creating and using virtual worlds, and to educate the public about the emerging ecosystem of technologies broadly known as the metaverse. Located in London. Follow her on LinkedIn. Margaret de Jong-Derrington is a CTU Professor at Second Life. 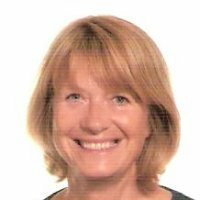 She is also a member of the King’s College London Virtual Worlds Special Interest Group and also of the DEPS Technology Enhanced Learning research group. Research interests include the use of virtual worlds and online social media for teaching and learning especially of languages, collaborative learning, project-based learning and problem solving in particular solving mathematical problems by programming. 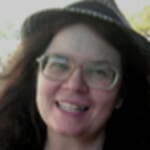 Margaret Dolinsky is the foremost producer of virtual reality art works over the past 20 years. She is also an associate professor at the School of Fine Arts at Indiana University, a senior research scientist at the Pervasive Technology Institute, a fellow at the Institute of the Digital Arts and Humanities and a research affiliate at the Bio-Complexity Institute. Located in San Francisco. Follow her on LinkedIn. Renate Fruchter is a stunning harnesser of virtual reality for over a decade in the architecture and construction industry. 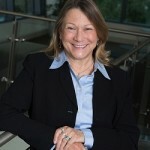 She is also the founding director of Stanford’s Project Based Learning Laboratory, a lecturer in the Department of Civil and Environmental Engineering, and senior research engineer of collaboration technologies at the Center for Integrated Facilities Engineering. Located in Germany. Follow her on LinkedIn. Leonie Gaertner is the community manager at Avination, the second most trafficked commercial OpenSim grid. Her educational background is in IT and sociology, and she also studied cultural diversity and gender specific electronic communication in LGBT groups. Robin Harper established SimCity and Second Life as the most widely recognized brands in their categories. She is a frequent speaker on the value of social media in supporting business strategy and driving long-term customer relationships. Chris Hart is a developer with many years of experience creating a wide variety of software solutions. From rich web applications to mobile device software, currently focussing on developing educational games using the Unity3D game engine. 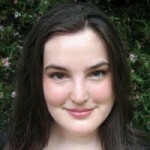 She created the ReactionGrid Jibe platform for web-based 3D immersive environments using Unity3D. 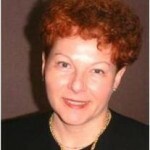 She has written chapters in several books on the Microsoft .NET Framework. MCTS, Windows SharePoint Services 3.0 Application Development. She is also an expert on OpenSimulator, a C# open source application for running a 3D virtual world platform, Second Life scripting, and in-world building and design. Located in Frankfurt Am Main Area, Germany. Follow her on LinkedIn. 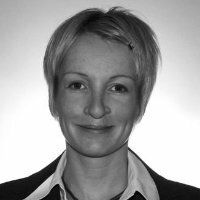 Katrin Janssen is the founder of Jilroxy New Media, focused on providing consultancy and strategy services on virtual world technologies and social media. She previously headed up the Community Gateway Program at Linden Lab. Located in Philadelphia. Follow her on LinkedIn. 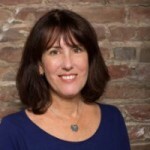 Nina Nussbaum-Jones is a virtual world evangelist and developer, from connecting the workforce to innovations in healthcare. She is the vice president of business development at 3D Immersive Collaboration Consultants, LLC and was previously a senior engineer at Lockheed Martin. Located in Denmark. Follow her on LinkedIn. Inge Knudsen designs and builds learning environments in virtual worlds. She is the owner of Danish Visions in Second Life. 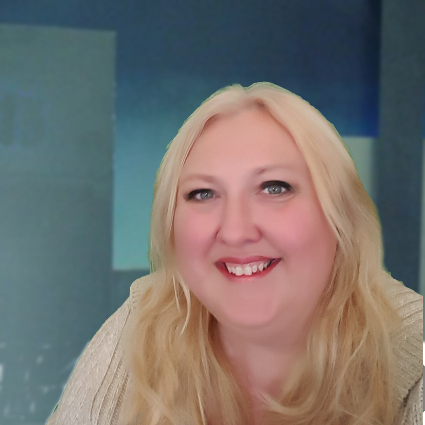 Maria Korolov is the president and founder of Women in Virtual Reality, and the editor and publisher of Hypergrid Business, an online publication covering enterprise uses of immersive virtual platforms since 2009. 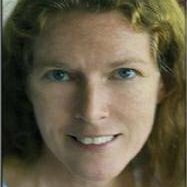 She has been covering technology for twenty years as a staff writer for Computerworld, a Source Media bureau chief in China, and, currently, as contributing writer for CSO. Located in Orlando, Florida. Follow her on LinkedIn. 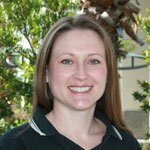 Stephanie Lackey is the founder and chief information officer at DUJO, LLC and an associate professor and director of the ACTIVE Lab at the University of Central Florida Institute for Simulation and Training. 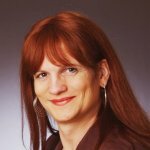 Julie LeMoine is the founder and CEO of 3D ICC, which offers the enterprise-grade Terf immersive virtual reality environment. 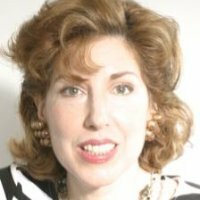 She was also the founder and head of the Fidelity Center for Applied Collaboration, a four-time E2.0 speaker on Social Media. She helped start the entrepreneurship program at Simmons Post Grad, and has owned five companies. Located in Orange County, California. Follow her on LinkedIn. 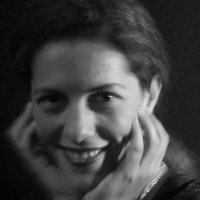 Crista Lopes, a professor at UC Irvine, is a researcher with long experience in creative technical thinking. She is the co-founder of the field of aspect-oriented programming, main community builder and main responsible for pedagogical materials about it, for several years. 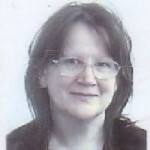 Technical lead in projects in pervasive systems. Core developer of OpenSimulator, an open source virtual world platform, and inventor of the hypergrid protocol that allows different OpenSimulator worlds to connect to one another. 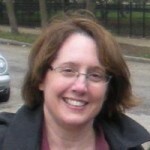 Diane Love formerly worked in virtual worlds as a system engineer for Lockheed Martin and is now with Frequentis. 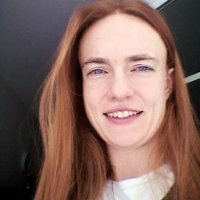 She is former consultant to 3D ICC creating avatar technology. Located in Los Angeles. Follow her on LinkedIn. 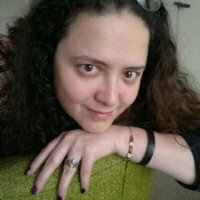 Jacquelyn Morie has 25 years experience in developing innovative techniques for virtual reality environments. She spent 13 years as a Sr. Research Scientist at USC’s Institute for Creative Technologies (ICT), which she helped found in 1999. At ICT she created highly immersive virtual reality experiences and also novel virtual reality telehealth care activities. Prior to ICT, Dr. Morie worked at Disney Feature Animation and at special effects companies VIFX, Blue Sky and Rhythm & Hues. Her virtual reality work started in 1990 at UCF’s Institute for Simulation and Training in Orlando, FL. Located in Glens Falls, NY. Follow her on LinkedIn. 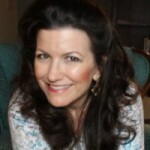 LuAnn Phillips is a consultant in immersive learning and social media at eXtension. She is dedicated to creating interactive experiences that make learning fun and is an evangelist for the use of virtual worlds in education. Located in San Antonio, Texas. Follow her on LinkedIn. 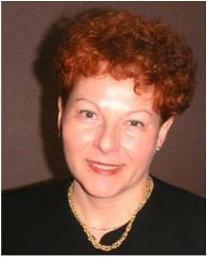 Beth Reischl is the co-founder of InWorldz, the most popular OpenSim-based social virtual world. She is also known as Elenia Llewellyn in-world. Located in Washington, D.C. Follow her on LinkedIn. Paulette Robinson is the deputy director of advanced educational initiatives at the Center for Technology and National Security Policy at National Defense University. Located in Cocoa, Florida. Follow her on LinkedIn. 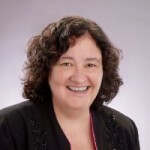 Gwenette Sinclair specializes in world development designs for immersive interaction and collaboration and personalized training and curriculum design for virtual worlds. She is also an expert in virtual mixed-reality conference, entertainment and fundraising event management, and one-on-one and customized curriculum group instruction in virtual world avatar and building skills. Located in Ilford, U.K. Follow her on LinkedIn. Melanie Thielker runs an OpenSim hosting company and is the founder of the Avination grid, the second most popular commercial OpenSim world. 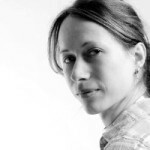 She is also an OpenSim core developer and frequent code contributor, and a strong public speaker. 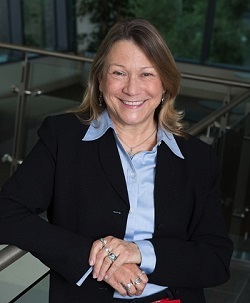 Barbara Truman is a former faculty administrator and founding leader of the University of Central Florida’s distributed learning, [email protected] She researches collaboration in virtual environments and has founded a non-profit organization in Central Florida. Barbara seeks to combine virtual and physical communities across industry domains to increase medical simulation, netizenship, and science learning for philanthropy. She is also a strategic advisor for immersive learning and collaboration for the UCF Institute for Simulation & Training in the Mixed Emerging Technology Integration Lab. Located in New York City. Follow her on LinkedIn. 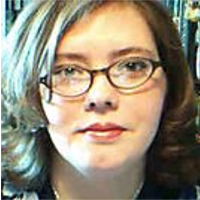 Aimee Weber is a founding member of the Federal Consortium for Virtual Worlds and the MOSES grid, member of the International Academy of Digital Arts and Sciences, an erstwhile judge of the Federal Virtual Challenge, and the lead author of Creating Your World. She is credited with what has been referred to as the first use of machinima for educational purposes when she produced a virtual tour of our solar system which went on to be featured in a German film festival. Francisca Yonekura is a faculty administrator overseeing online course production, web application development, and R&D of emerging technologies — specially immersive learning environments in support of online learning. Located in Cleveland. Follow her on LinkedIn. 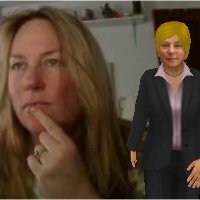 Karen Zastudil is an expert in adult education and virtual learning, the creator of Sagaversity in Second Life, and a virtual training consultant. She is also the managing director of Women in Virtual Reality.